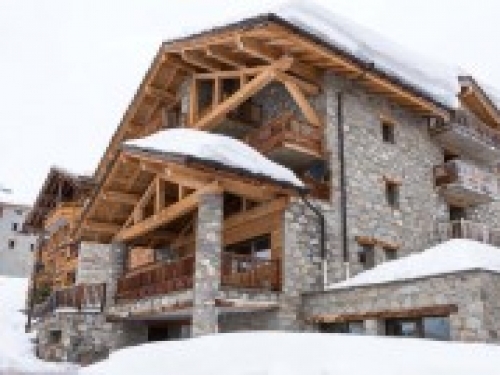 A 8-bedroom chalet which can sleep 19, situated in the resort of Tignes in France. Available for holiday rent on various board options including Catered, Bed & breakfast and Half board. Chalet 820 is a 12 bedroom chalet that can comfortably accommodate 27 people. Conveniently located near to both the piste and centre of the French resort of Tignes it is available on various board options including Catered and Self catering. The property also features a TV and Wifi. 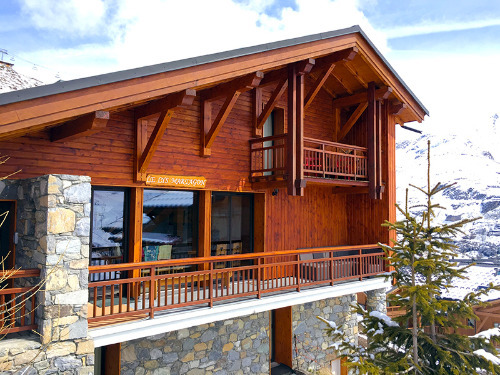 This 7 bedroom chalet is located in the French resort of Tignes. Available on various board options including Catered and Self catering, Chalet 822 can sleep upto 21 people. This chalet also features a TV and Wifi. This 9 bedroom ski chalet is located in the French resort of Tignes. Available on a Catered basis, Chalet 844 Inc Flights can sleep upto 20 people. This ski chalet also features a Sauna, Hot tub, Fireplace, TV and Wifi. 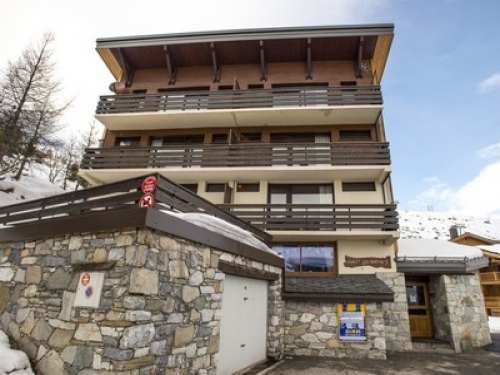 Conveniently located near to both the piste and centre of the French ski resort of Tignes. Chalet 895 has 7 bedrooms and can accommodate upto 19 people on a Catered basis. This ski-in ski-out chalet also features a Sauna, Hot tub, Fireplace, TV and Wifi. This 8 bedroom ski chalet is located in the French resort of Tignes. Available on a Catered basis, Chalets 851 Inc Flights can sleep upto 16 people. This ski chalet also features a Sauna, TV and Wifi. 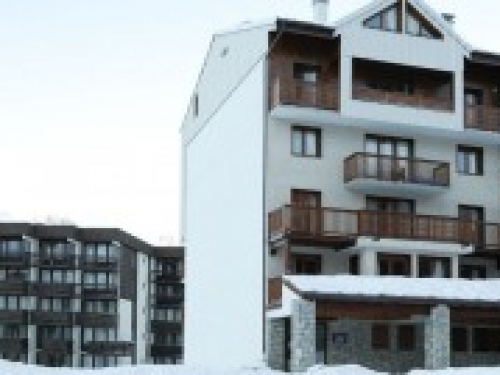 Apartment 898 is a 1 bedroom ski apartment that can comfortably accommodate 5 people. Conveniently located near to the pistes of the French ski resort of Tignes it is available on a Self catering basis. The property also features a TV and Wifi. This 21 bedroom ski hotel is located in the French resort of Tignes. Available on a Catered basis, Ski Lodge 845 Inc Flights can sleep upto 42 people. This ski hotel also features a Pool, Sauna, Fireplace, TV and Wifi. Chalet 896 is located in the French ski resort of Tignes. 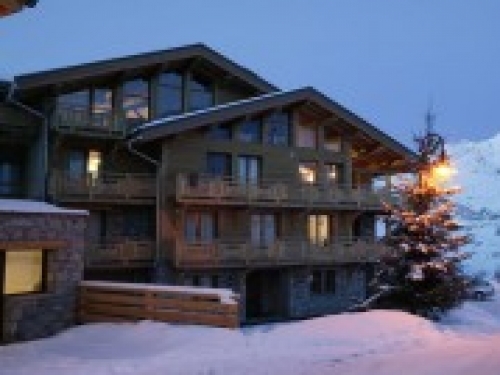 This ski-in ski-out chalet has 5 bedrooms and can accommodate upto 12 people on a Catered basis. The property also features a Fireplace, TV and Wifi. Chalet 854 Inc Flights is located in the French ski resort of Tignes. 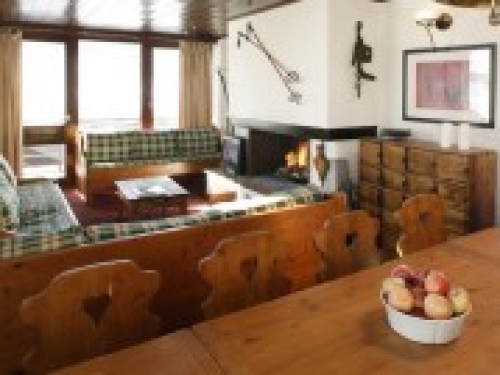 This ski chalet has 5 bedrooms and can accommodate upto 10 people on a Catered basis. Hotel 899 is a 16 bedroom ski hotel that can comfortably accommodate 33 people. Conveniently located near to the pistes of the French ski resort of Tignes it is available on a Bed & breakfast basis. Featuring a Sauna, TV and Wifi, Chalets 849 Inc Flights offers comfortable holiday rental accommodation in Tignes on various board options including Catered and Self catering. 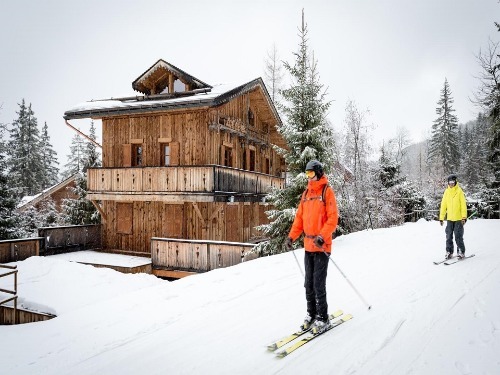 Chalets 849 Inc Flights is a 6 bedroom ski chalet that can comfortably accommodate 12 people. Chalet 897 is a 4 bedroom ski-in ski-out chalet that can comfortably accommodate 16 people. Conveniently located near to the pistes of the French ski resort of Tignes it is available on a Catered basis. The property also features a Sauna, TV and Wifi. Featuring a TV and Wifi, Plein Soleil offers comfortable holiday rental accommodation in Tignes on a Self catering basis. Plein Soleil is a 1 bedroom apartment that can comfortably accommodate 5 people. Located in the French resort of Tignes. Home Club has 1 bedroom and can accommodate upto 4 people on a Room only basis. This apartment also features a TV and Wifi. A 1-bedroom apartment which can sleep 5, situated in the resort of Tignes in France. Les Olympiques has a TV and Wifi, and is available for holiday rent on a Room only basis. Le Sefcotel is located in the French resort of Tignes. This apartment has 1 bedroom and can accommodate upto 4 people on a Room only basis. The property also features a TV and Wifi. Located in the French resort of Tignes. Les Moutieres B1 et B2 has 1 bedroom and can accommodate upto 6 people on a Self catering basis. This apartment also features a TV and Wifi. 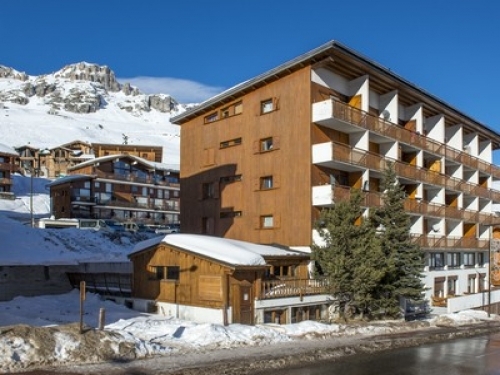 A 1-bedroom apartment which can sleep 6, situated in the resort of Tignes in France. Le Bollin has a TV and Wifi, and is available for holiday rent on a Room only basis. Offering holiday accommodation in Tignes on a Room only basis, Rond Point des Pistes is a 1 bedroom apartment that can comfortably accommodate 4 people. The property also features a TV and Wifi. Featuring a TV and Wifi, La Grande Casse offers comfortable holiday rental accommodation in Tignes on a Room only basis. La Grande Casse is a 1 bedroom apartment that can comfortably accommodate 5 people. This 2 bedroom apartment is located in the French resort of Tignes. Available on a Self catering basis, Le Hameau du Borsat can sleep upto 6 people. This apartment also features a TV and Wifi. Featuring a TV and Wifi, Trolles offers comfortable holiday rental accommodation in Tignes on a Room only basis. Trolles is a 1 bedroom apartment that can comfortably accommodate 5 people. Located in the French resort of Tignes. 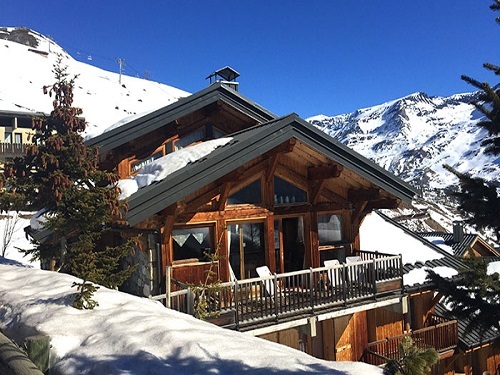 Les Pistes has 1 bedroom and can accommodate upto 6 people on a Self catering basis. This apartment also features a TV and Wifi. This 1 bedroom apartment is located in the French resort of Tignes. Available on a Room only basis, Le Grand Ski can sleep upto 4 people. Horizon 2000 offers comfortable holiday rental accommodation in Tignes on a Self catering basis. Horizon 2000 is a 1 bedroom apartment that can comfortably accommodate 5 people. A 1-bedroom apartment which can sleep 4, situated in the resort of Tignes in France. Chalet Club has a TV and Wifi, and is available for holiday rent on a Room only basis. Altitude 2100 is a 1 bedroom apartment that can comfortably accommodate 6 people. Conveniently located near to the centre of the French resort of Tignes it is available on a Self catering basis. The property also features a TV and Wifi. Les Grandes Balmes II is located in the French resort of Tignes. This apartment has 1 bedroom and can accommodate upto 6 people on a Self catering basis. The property also features a TV and Wifi. Located in the French resort of Tignes. La Divaria has 1 bedroom and can accommodate upto 6 people on a Room only basis. This apartment also features a TV and Wifi. A 2-bedroom apartment which can sleep 6, situated in the resort of Tignes in France. Available for holiday rent on a Room only basis. Le 2100 A et B is located in the French resort of Tignes. This apartment has 2 bedrooms and can accommodate upto 6 people on a Self catering basis. The property also features a TV and Wifi. Le Grand Tichot A et B is a 4 bedroom apartment that can comfortably accommodate 12 people. Conveniently located near to the pistes of the French resort of Tignes it is available on a Self catering basis. The property also features a TV and Wifi. This 1 bedroom apartment is located in the French resort of Tignes. Available on a Room only basis, Le Shamrock can sleep upto 6 people. This apartment also features a TV and Wifi. Le Slalom is located in the French resort of Tignes. This apartment has 1 bedroom and can accommodate upto 5 people on a Self catering basis. The property also features a TV and Wifi. A 1-bedroom apartment which can sleep 4, situated in the resort of Tignes in France. Palafour has a TV and Wifi, and is available for holiday rent on a Self catering basis. Kandahar is a 1 bedroom apartment that can comfortably accommodate 5 people. Conveniently located near to the pistes of the French resort of Tignes it is available on a Room only basis. The property also features a TV and Wifi. This 2 bedroom apartment is located in the French resort of Tignes. Available on a Room only basis, Les Tommeuses can sleep upto 7 people. This apartment also features a TV and Wifi. This 1 bedroom chalet is located in the French resort of Tignes. Available on a Self catering basis, La Galise can sleep upto 6 people. This chalet also features a TV and Wifi. Located in the French resort of Tignes. Le Bec Rouge has 2 bedrooms and can accommodate upto 8 people on a Self catering basis. This apartment also features a TV and Wifi. Offering holiday accommodation in Tignes on a Room only basis, Le Grand Pre is a 1 bedroom apartment that can comfortably accommodate 3 people. The property also features a TV and Wifi. 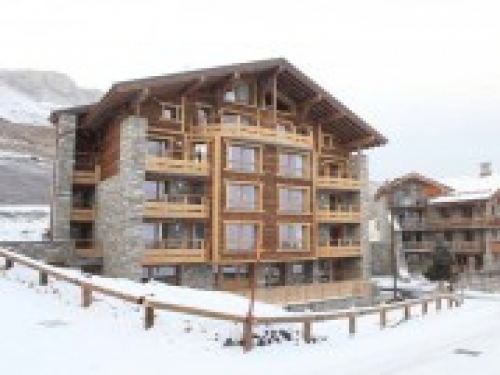 A 2-bedroom apartment which can sleep 6, situated in the resort of Tignes in France. Les Cimes has a TV and Wifi, and is available for holiday rent on a Self catering basis. Les Tufs is located in the French resort of Tignes. This apartment has 1 bedroom and can accommodate upto 4 people on a Self catering basis. The property also features a TV and Wifi. Conveniently located near to the centre of the French resort of Tignes. Grand Roc has 2 bedrooms and can accommodate upto 6 people on a Room only basis. This apartment also features a TV and Wifi. This 1 bedroom apartment is located in the French resort of Tignes. Available on a Room only basis, Le Prariond can sleep upto 6 people. This apartment also features a TV and Wifi. Located in the French resort of Tignes. Le Pramecou has 2 bedrooms and can accommodate upto 7 people on a Self catering basis. This apartment also features a TV and Wifi. A 1-bedroom apartment which can sleep 4, situated in the resort of Tignes in France. 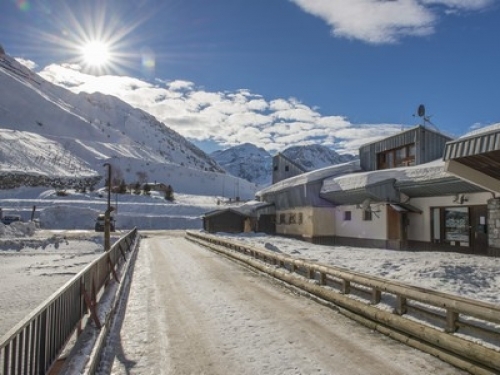 Super Tignes has a TV and Wifi, and is available for holiday rent on a Self catering basis. 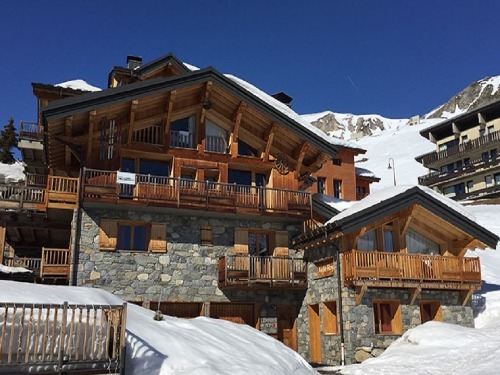 A 3-bedroom apartment which can sleep 8, situated in the resort of Tignes in France. Ecrin des Neiges has a TV and Wifi, and is available for holiday rent on a Self catering basis.